What immediately comes to mind when you see a group of all guys in downtown Austin with matching tee shirts? A bachelor party looking for a bachelorette party. Austin is amazing for its weather, attractive girls, cheap and easy nightlife, BBQ, and the central US location. Being the most experienced bachelor party planner in Austin since 2010, that’s why we’ve lived here for nearly 20 years! West Sixth, Dirty Sixth, East Sixth, and Rainey Street. These collectively offer over 100 bars to choose from! West Sixth extends west of Congress Avenue (away from the I-35 Interstate Highway). The bar scene here is becoming more and more popular as the city grows. You’ll get the best of all worlds: dance parties, live music, games, and arcades. The vibe is a little more clubby than other areas, and so are some of the bars like Concrete Cowboy, Greenlight Social, and Pop. In general, people are more dressed up than they would be on East Sixth. It’s still Austin. Feel free to go anywhere in a bathing suit, tank top, and flip flops. 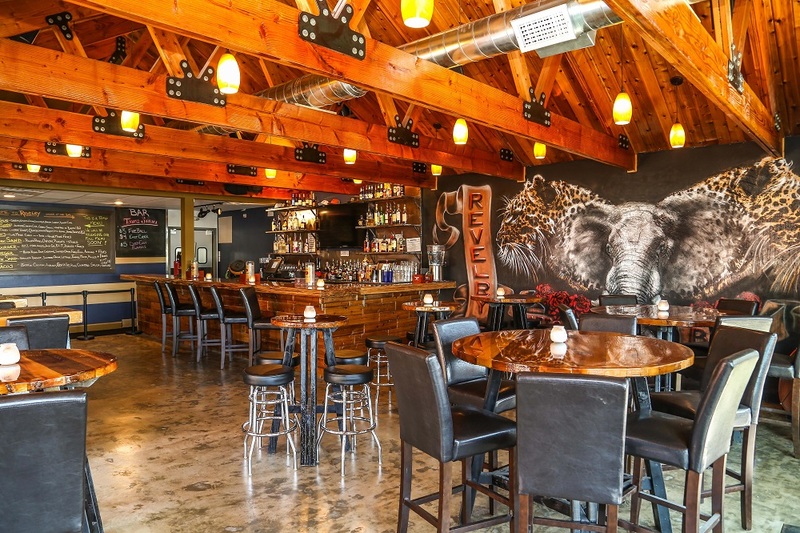 Rustic Tap is a casual bar worth highlighting. With a large outdoor area and music in the evenings, bachelor party revelers can occupy themselves for hours with games of giant beer pong (trash barrels for cups, volleyballs for ping pong balls). 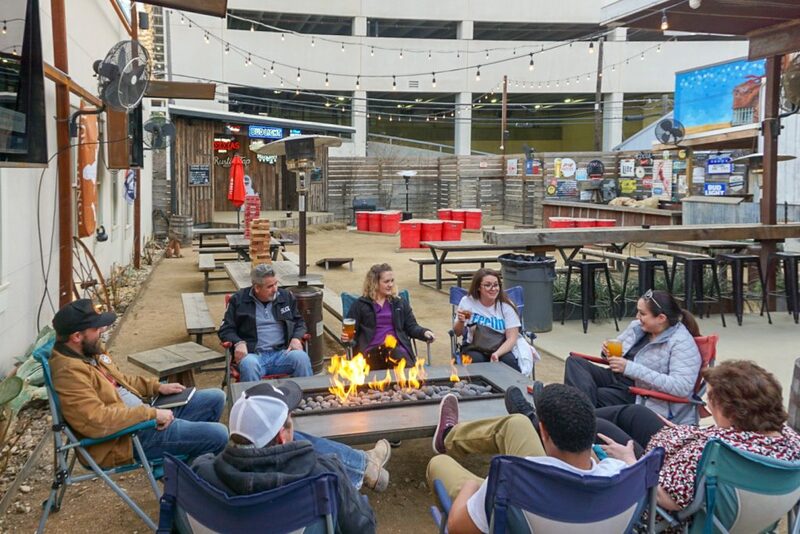 If you’re looking for a low-key evening or hoping to watch some games during the day, bring your group to Star Bar and Little Woodrow’s, which sit facing each other on opposite sides of Nueces Street. Don’t sleep on either of their food trailers, especially if you like tacos and fried chicken sandwiches. And speaking of food, if you’re looking to start the night out with dinner (and great drinks), or the day with brunch (and great drinks), then head over to Irene’s. Let’s head east on Sixth Street for the main event, the Bourbon Street of Austin, Dirty Sixth. You’ll want to take out-of-towners here just to experience the bars, the energy, and the guy who stands in the middle of the street with a live snake around his neck. If you want food before the show, I recommend Easy Tiger for sausage, pretzels, and an extensive beer list. If you think your party can be quiet for an extended period of time, then an Esther’s Follies show is highly recommended. You’ll get song, dance, comedy, and magic. And yes, there’s a bar and intermission. Once your party is well-fed, start your Dirty Sixth crawl at Cheers Shot Bar. Head to the back of the first floor and order your group some . Then get out of the way and watch the show. 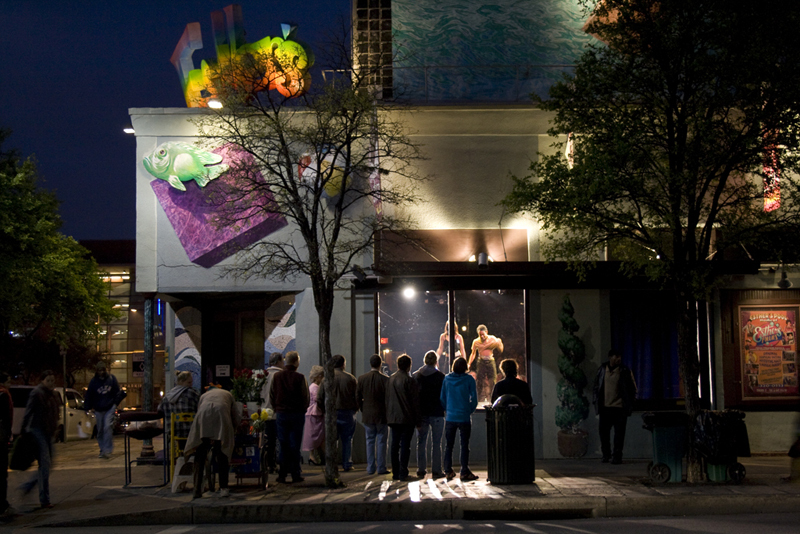 From there, lead your group over to Maggie Mae’s, Blind Pig Pub, Shakespeare’s, and whatever else catches your eye. These bars are big and rowdy, and have rooftops ideal for people-watching as you look down at the mob on the street below. As the night winds on and the drinks continue, you may find yourself ready for Barbarella. Whether you’re craving an indoor light show dance party or an outdoor hip-hop one, Barbarella is a great “it’s the end of the night, let’s pretend we’re still in college” experience. Still up and coming, but also pretty much there at this point, the once-grungy neighborhood is developing at a rapid clip. It’s the most casual of the four districts featured here, with dive bars and a Brooklyn-type vibe. Let’s start with feeding your bachelor party. The food trailers on East Sixth are amazing, whether it’s Dee Dee, Artessano, Halal Time, or Chi’lantro. You’re in good shape for food in the early morning, daytime, or late night. For group sit-down meals, you can try Via 313 for pizza, Tamale House East (get the frozen margarita! ), and Revelry. Overwhelming? Yes. The good thing is that it’s difficult to go wrong when it comes to feeding your bachelor party on East Sixth. Let’s assume everyone is fed and ready to start/keep drinking. 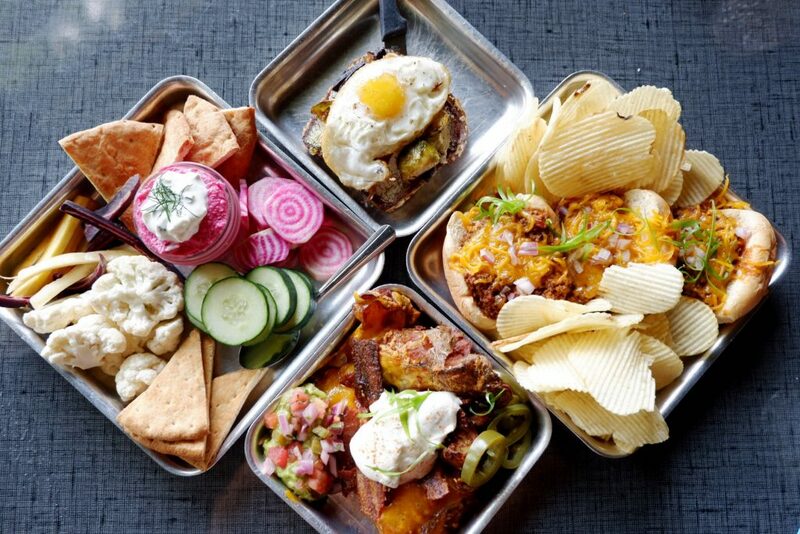 The options up and down East Sixth Street are plentiful, starting with breweries: Lazarus Brewing Co., Zilker Brewing Company and Taproom, and Hops & Grain Brewing. Choose your favorite and enjoy some “frat colas” while your stomach settles. After the brewery stop, I recommend taking your crew to Whisler’s for cocktails (try the old fashioned). Don’t forget to go up the stairs to the tiny mezcal room, where you can sip agave-centric concoctions out of tiny clay pots. After that, show your group what two-stepping looks like and Texas music sounds like at The White Horse, or sit outside and drink a Lone Star on Liberty Bar’s backyard picnic tables. 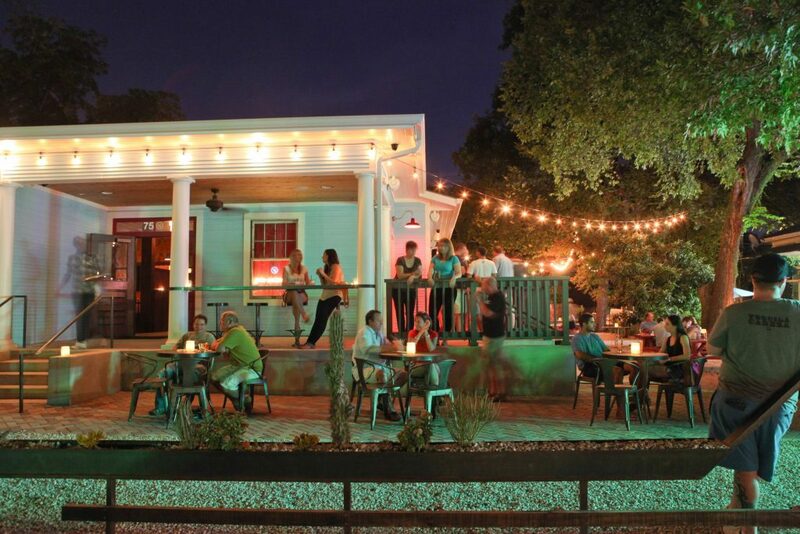 As with all of Austin’s nightlife destinations, walk up and down the street, and just see what’s calling your name. When “night” turns to “late night,” make your way to Hotel Vegas (probably a band playing) or Volstead (definitely a DJ getting everyone to move). These two bars share a backyard filled with locals and visitors, sitting at picnic tables and solving the problems of the world. When you’re ready for that late night meal, I recommend Rollin Smoke barbecue or Halal Time across the street. Both can help you end the night right. 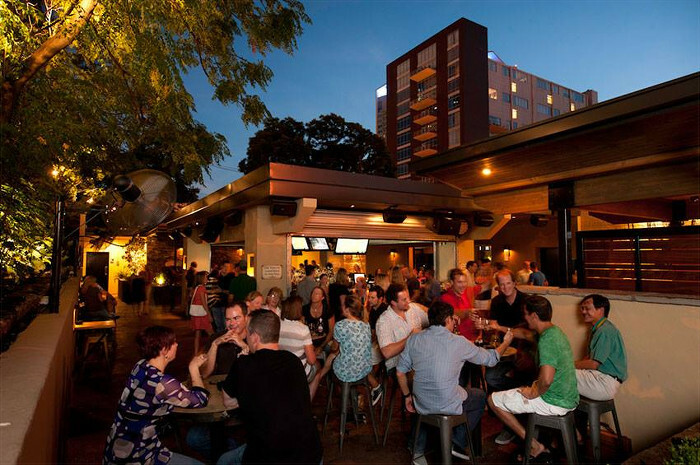 Rainey Street’s bustling section of bars and restaurants is located a few blocks south of Sixth Street. I always plan at least one dinner at Banger’s Sausage House & Beer Garden, where bachelor party friends can eat sausage and drink beer to their hearts’ content. Look around and you’ll realize you’re in good company. I’m not the only one with this bachelor party dinner recommendation. 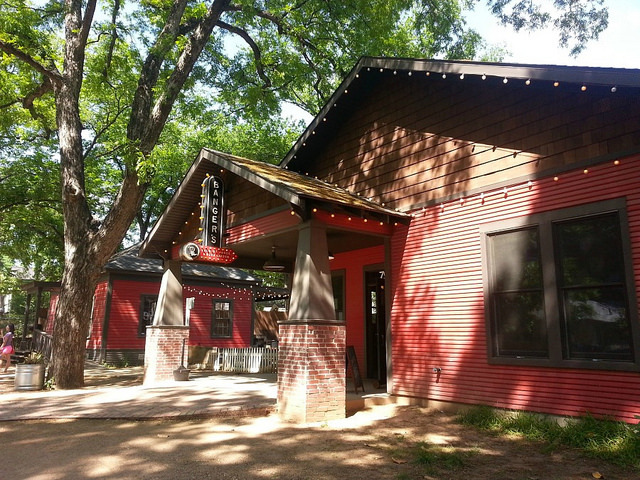 Rainey Street was residential in the not too distant past. But these days during peak hours, it can feel like all of Austin is on the same street. My strategy here: choose a bar that feels right, and move on to the next one when you get antsy. I usually end up at Half Step, Lucille’s, and Lustre Pearl at some point. As far as food trailers go, I can usually be found at Wild Taco, located near the entrance to Bungalow, ordering myself an al pastor quesadilla. 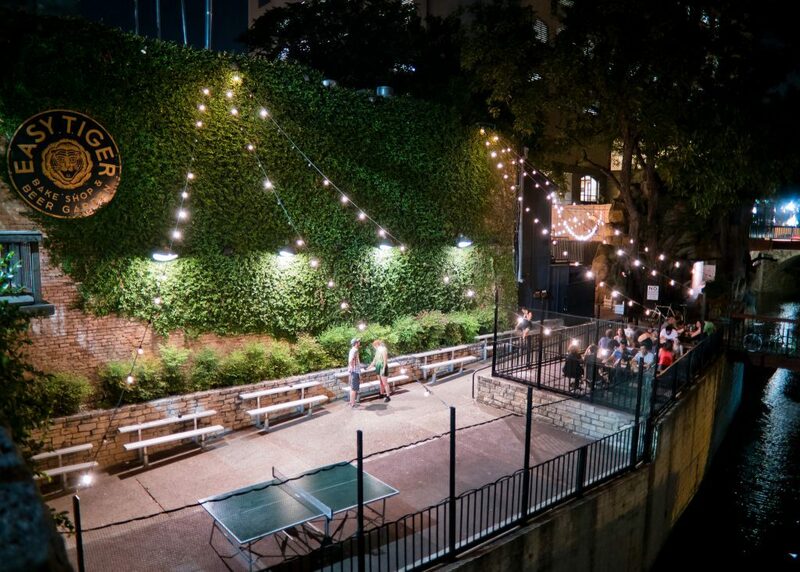 Almost every bar on Rainey has cocktails, an outside area, and games. Container Bar is the most notorious dancing bar on the street. And it’s made out of shipyard containers, so there’s that. On a small street like this, if you don’t want to be waiting late into the night, be sure to get your car a bit before the bars close at 2 a.m., when every other partier has the same idea.